But what about Mac users? Okay, here’s a new version for all the Mac lovers out there (me too). Feel free to download and distribute the files as you wish! Every Windows user has a choice of which browser they use, but so few take up anything other than the standard Internet Explorer offering. For them, this article and the BBC News story about it will fall on deaf ears. But for those interested in making their online research and daily surfing more interesting, enjoyable and engaging, have a look at the rivals and what you can do with them. I use Google Chrome as my default browser, as it is clean, simple, quick to load and has a number of useful extensions. 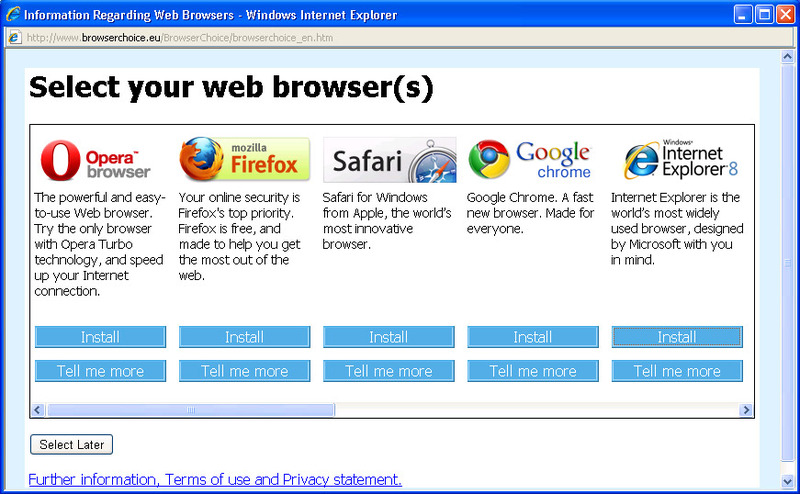 I used to use Firefox but it became bloated and now runs slower than Internet Explorer (for me). I sometimes switch to Apple Safari as I like the interface and I sometimes use a Mac. As you will discover if you see the IE advisory page (not everyone will see the message due to their Windows settings) there are other less well known browsers that you could use. Some are worth a try but the mainstream offerings are the more stable, longer term bet for the average user. It has got to be FastStone Capture – a really handy Windows utility, giving you tools to capture and annotate anything on your screen, like windows, objects, menus, freehand regions and scrolling windows/web pages.